Newly disclosed financial records show that President Donald Trump's nominee to become HHS secretary reaped big earnings during his tenure as a top pharmaceutical executive. As a top drug industry veteran from 2007 to 2017, former Eli Lilly and Co. executive Alex Azar built a substantial financial portfolio now worth $9.5 million to $20.6 million, and he was paid nearly $2 million in his final year at the company. Azar was a former general counsel and deputy secretary at HHS during President George W. Bush's administration. If confirmed, he would replace Tom Price, who resigned under pressure after using private charter flights at taxpayer expense. In remarks Monday before a Cabinet meeting at the White House, Trump said he was "proud" of Azar's nomination and urged the Senate to "swiftly confirm" him, citing the nominee just before a discussion of the national opioid epidemic. 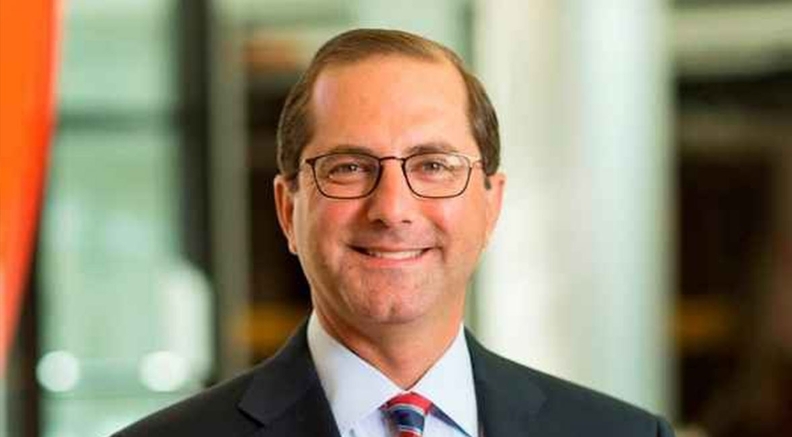 HHS spokesman Ryan Murphy said Azar's private- and public-sector experience make him "uniquely positioned to accomplish the president's goals on health care policy." Although the administration has not yet detailed whether Azar will need to recuse himself from decisions concerning Eli Lilly or other health care matters, Murphy noted that "the administration takes seriously the need for appointees to resign, recuse and divest where required." Azar served for two years as director of HMS Holdings Corp., a health care processing firm. According to Equilar, an executive data firm, he held $292,000 in equity ownership. Azar left Eli Lilly in December and started up a private health care consulting firm, Seraphim Strategies, LLC. He listed its value as between $15,000 and $50,000.